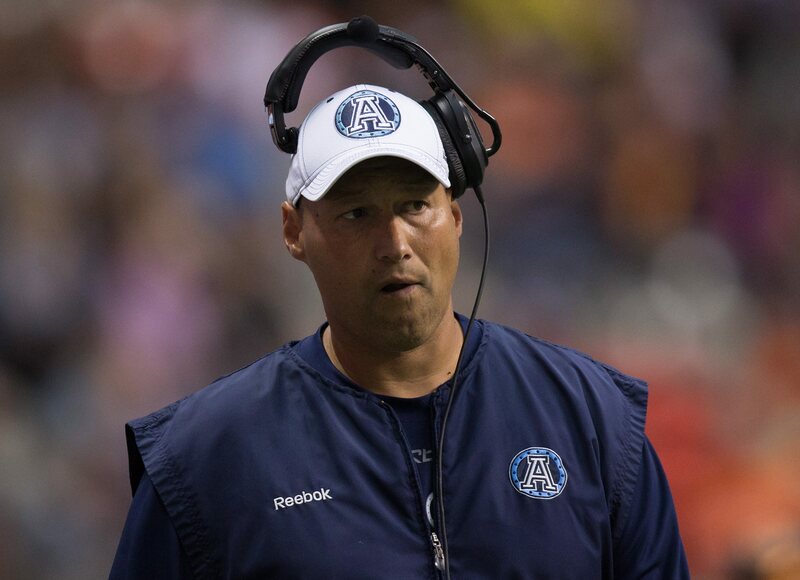 Argos head coach Scott Milanovich alluded to it earlier in the week, but even the average fan knows the Argos must start out faster as a team than they have over the last few weeks. 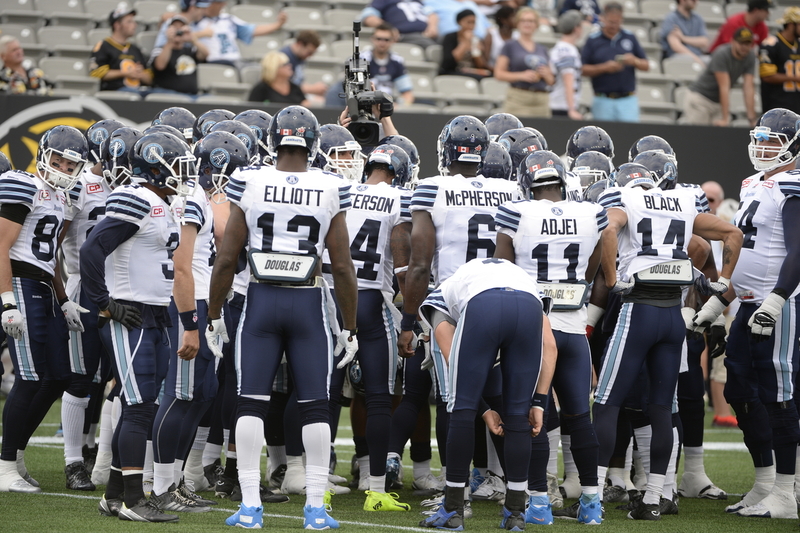 Even the best of teams can not always get out of a hole so the Argos will need to put up points early on Saturday. Not only will their offence have to score in the beginning of the game, but the defence needs to set the tone and not allow the Riders to gain any early momentum. 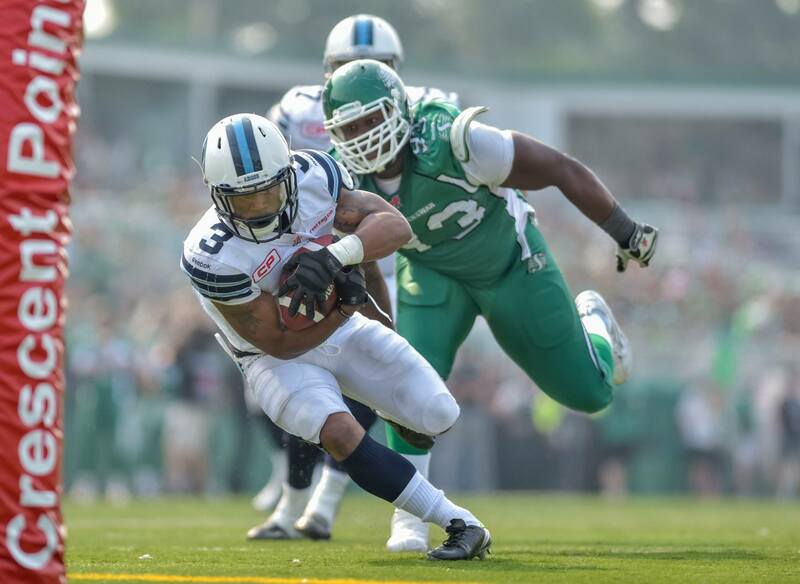 A winless team often plays loose and free, but the Argos’ defence will have the chance early to squash any motivation that Saskatchewan may have left. If the Argonauts start out fast, they’ll win the game. The Argonauts have not had a 100-yard rusher since Week One of the 2015 season, when Brandon Whitaker rushed for 117 yards versus Edmonton. 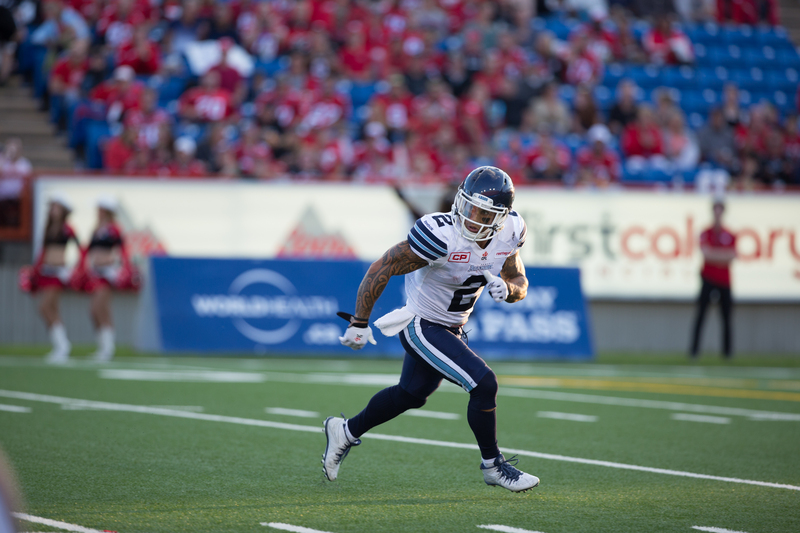 The Argonauts’ offensive mantra is pass to score and run to win, though that cannot always be the case. Toronto needs to do a better job establishing their rushing attack earlier in the game. Doing this will open up passing lanes for quarterback Trevor Harris which, in turn, keeps linebackers and defensive backs out of the backfield. Being able to run the ball effectively allows an offence to dictate the pace of the game and usually keeps the offence in short down conversions as opposed to second-and-long attempts. 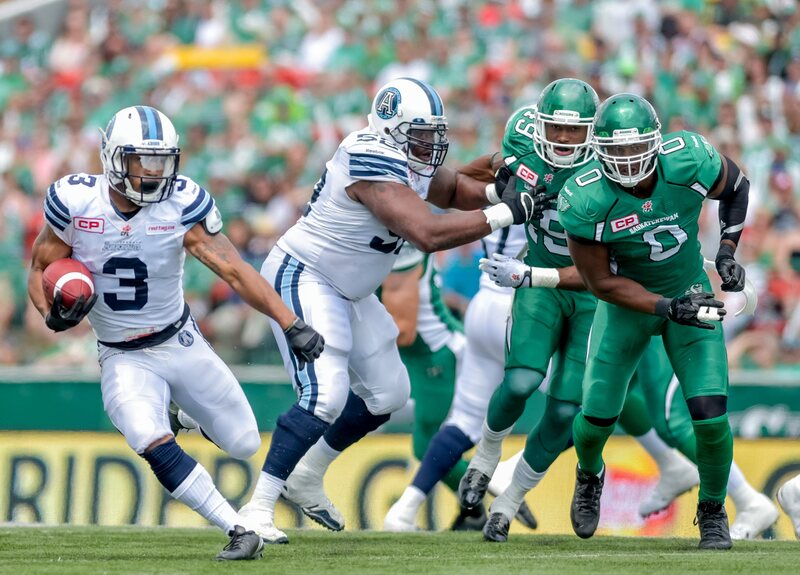 The Argonauts currently rank eighth in rushing yards per game with 77.0, whereas the Roughriders are ranked seventh in rushing yards allowed with an average of 121.2 per game. So, if there was ever a week to get the run game going, it would appear this is it. Every single CFL team has to deal with injuries throughout the season and sometimes it happens to some of your biggest stars. The Argonauts are no different. Obviously, they’ve started the season without future Hall of Fame pivot Ricky Ray at the helm, though Trevor Harris has filled in admirably. It now appears as though the injuries are beginning to pile up for Toronto as they’ll be without some big names, on Saturday. Outside linebacker Cory Greenwood, who is in his first full season with the Argonauts, will miss Saturday’s game after being placed on the six-game injured list. The seasoned veteran, James Yurichuk, will replace him. Also out of the lineup is running back/slotback Anthony Coombs, who had replaced Andre Durie, who is out for the season, and centre Jeff Keeping, as he continues to battle through an injury plagued season. They join a long list of starters that have missed time this season for Toronto, but like in life, nobody is going to be feeling sorry for them nor can the Argos use this as an excuse for not winning. The time is now for young players like Natey Adjei, Diontae Spencer and Greg Van Roten to step up and help the team win. It is such a simple concept, yet it seems like each game there is one or two penalties per team that just make you shake your head. Nothing infuriates a coach more than untimely “stupid” penalties, and as we’ve seen in the past, it could cost a player valuable playing time. For Toronto, last week they were penalized far too often which disrupted the flow on offence and kept their defence on the field longer than they should have been. If Toronto can avoid shooting themselves in the foot with mistakes like holding or illegal hands to the face, then their offence should be able to function smoothly. However, if they cannot prevent these miscues and every time they make a big play they end up moving backwards, then it could be another long day. On the defensive side of the ball, the Argos cannot afford to take costly penalties that keep their opponents’ drives alive. Anytime you give the opposing team a free down or big chunks of yardage, you’re giving them another chance to put points on the board. Most CFL games come down to just a few points separating the winner from the loser, so the Argos really need to cut down on the penalties that will give their opponents second and third chances. 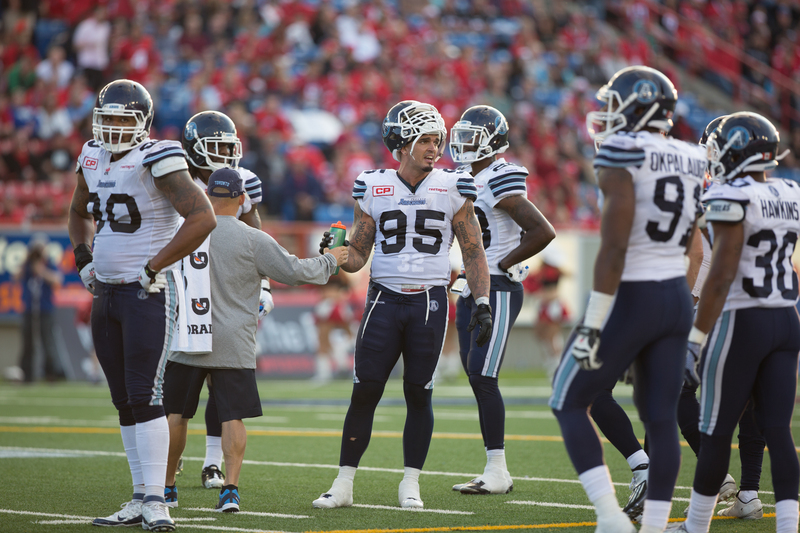 Argonauts defensive linemen Ricky Foley and Tristan Okpalaugo finally got into the sack column in 2015 last week against Hamilton, each registering one sack. Hopefully it was just some rust and scheme change from the off-season that had slowed these men down, and now that they’ve gotten the first one out of the way, they can really get after it. Even if the Argos’ defensive line isn’t sacking the quarterback, getting pressure and forcing early throws can often lead to turnovers, so it is imperative that they don’t get discouraged by their sack numbers. The play of the defensive line and defensive backs typically go hand-in-hand. If the line is creating havoc for the quarterback, it’ll create errant passes that can be picked off. If the defensive backs are playing tight coverage and not allowing there to be open windows for the quarterback, he will be forced to hold onto it longer which could be all it takes for the defensive line to get home. The last time these two teams met, the Argos intercepted Saskatchewan once while also adding a sack and two forced fumbles. That could have been the difference in a game that went to double overtime. If the defence can play as a cohesive unit and generate turnovers, it will go a long way in helping the Argos get the victory. Football enthusiast. Very proud Father, Second year Argo Admiral.